In Milwaukee, urban renewal largely took place between the mid-1960s and the early 1980s, primarily in Midtown and adjoining neighborhoods during the mayoralty of Henry W. Maier. 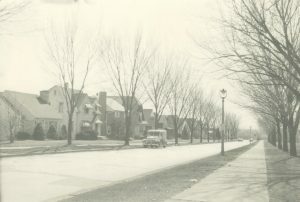 In preceding decades, due in large part to the economic stagnation and dislocation caused by the Great Depression and World War II, significant portions of Milwaukee’s infrastructure had become “blighted.” The goals of urban renewal efforts in Milwaukee were to build updated housing, create more living space, construct modern interstates, upgrade and widen surface streets, and erect more modern government buildings. Between 1960 and 1968, city officials tore down 7,500 houses in Milwaukee’s urban core in order to facilitate urban renewal projects. Hundreds of acres were redeveloped, with a majority of properties located in areas with high concentrations of African Americans, Latinos, and Native Americans, that is, the newest residents of Milwaukee who had largely arrived during the Great Migration as well as World War II. These recent arrivals tended to settle into the city’s Inner Core area, replacing descendants of the original German and Irish immigrants, who were moving into surrounding suburbs. 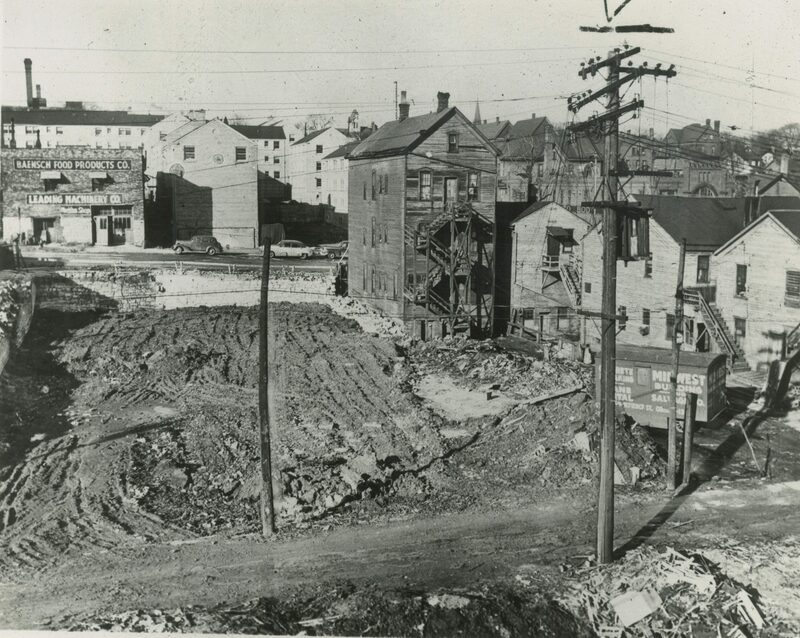 Although urban renewal projects were intended to provide an improved physical environment for Milwaukeeans, complaints arose against specific projects. A major problem related to the physical dangers and devastated landscapes that came from the removal of thousands of houses and local stores. These teardowns, often associated with freeway construction, frequently caused longtime residents of Milwaukee’s Inner Core—people who had financial and, therefore, residential choices—to flee neighborhoods such as Bronzeville. Another important issue troubling residents regarded proposed freeway routes that sliced through these central city neighborhoods, with little consideration as to the impact of their placements. Hundreds of homes had been torn down in the Near Northwest side of Milwaukee to make room for freeway routes that would never be completed. On the other side, the pro-freeway faction included the construction industry, along with city officials. Among their concerns was the ability to evacuate the city residents quickly in the event of an attack by the Soviet Union. By 1968, opposition to the construction of the freeways became more outspoken. Anti-freeway neighborhood groups in union with historical preservationists argued that the construction of the freeways was not worth the injuries to workers, the displacement of individuals, or destruction of historic district and structures across Milwaukee. Urban renewal projects stalled out by the late 1970s and early 1980s. An important factor shaping this decline in large scale urban renovations was deep cuts in federal funding, which ended an era of massive physical change in the appearance of central city Milwaukee. ^ Scott Gordon, “‘Pretty Soon Runs Out’ Film Captures Failures, Frustrations of Milwaukee Urban Renewal: Displaced Milwaukeeans Struggle in 1968 Documentary,” Wisconsin Public Radio, May 12, 2016, https://www.wpr.org/pretty-soon-runs-out-film-captures-failures-frustrations-milwaukee-urban-renewal, Accessed September 20, 2017. ^ John Gurda, “Three Decades Later, Midtown Urban Renewal Battle Still Resonates,” Milwaukee Journal Sentinel, November 30, 2013, accessed October 20, 2017. ^ John Gurda, The Making of Milwaukee, 3rd ed. (Milwaukee: Milwaukee Historical Society, 2008), 390-398. ^ Gurda, The Making of Milwaukee, 390-394. ^ Joseph Rodriguez, Bootstrap New Urbanism: Design, Race, and Redevelopment in Milwaukee (Lanham, MD: Lexington Books, 2014), 137. ^ Gurda, The Making of Milwaukee, 395; Christopher J. Bessert. “Milwaukee’s Freeways: Park Freeway,” Wisconsin Highways: Highways and Byways of the Badger State, last updated October 10, 2016, accessed November 5, 2017. ^ Gurda, The Making of Milwaukee, 332. ^ Gurda, The Making of Milwaukee, 334-336. ^ Gurda, The Making of Milwaukee, 390-392. Cutler, Richard W. Greater Milwaukee’s Growing Pains, 1950-2000: An Insider’s View. Milwaukee: Milwaukee County Historical Society, 2001. Gurda, John. The Making of Milwaukee, 3rd edition. Milwaukee: Milwaukee County Historical Society, 2008.